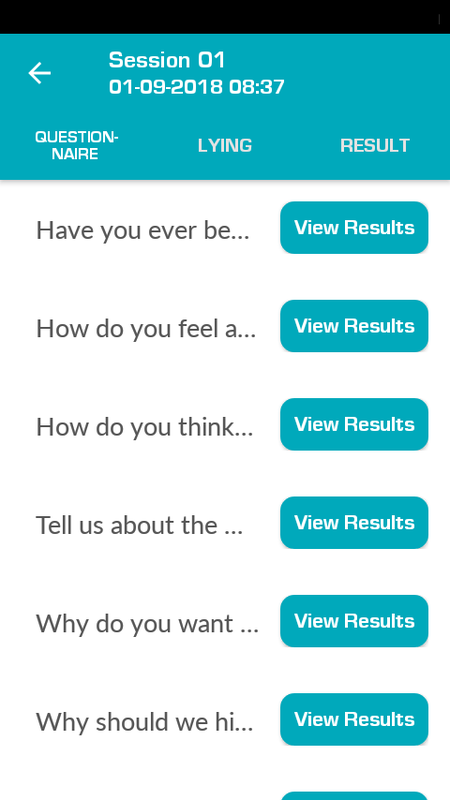 Select Diagnose option so “Candidate Self Video Record” a set of 8 Questions in the Evaluator smartphone. The first question is used as a baseline to compare Emotions and the remaining 7 in the 3 Job categories (Sales, Admin/Finance & High-Risk Jobs). Reprocess: In the remote case that one or more question is not correctly recorded and Interpret the system will ask to repeat it. Follow the guidelines carefully; you have up to 3 rounds to complete the process, Visual Job Hire has a 97% accuracy rate in the first round. 1.- Review & Score “Best Candidate,” use Blink & Emotions graphs as State-of-the-Art tools. Interview Videos stored for quick review. 3.- RESULT – Scores Summary. 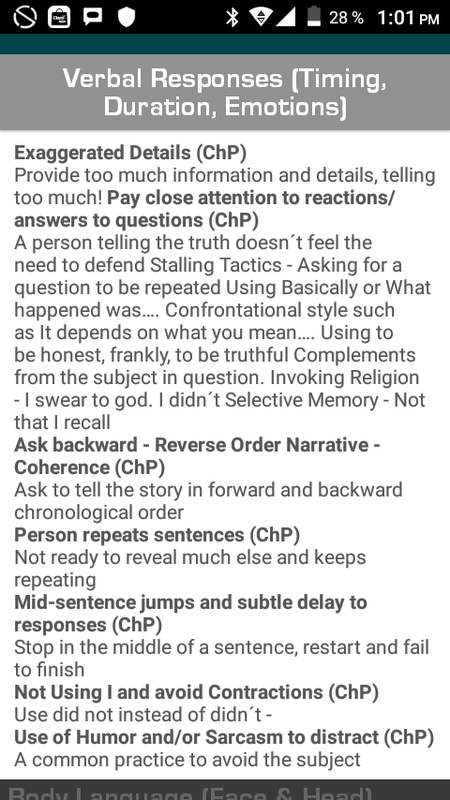 Lying Test Score of the Candidate Session – Become a Human Lie Detector expert. 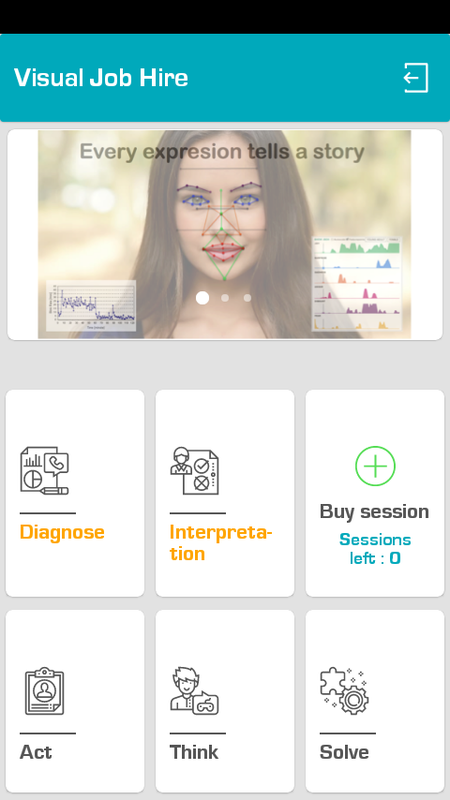 Videos direct observation by reviewing Deception Hints about Face & Eyes Expressions, Verbal Responses, Body Language Cues using Professional Interrogation Techniques. Review Results, adjust perceptions and make up your mind! Sample Interpretation: This seems to be a TOP Candidate by the Evaluator “Best Candidate” Score of 8.25/10.0 points BUT the Candidate Scored, “Very High” in the Lying Test with 88%. Careful validation of the candidate credentials, skills, and past jobs strongly suggested. 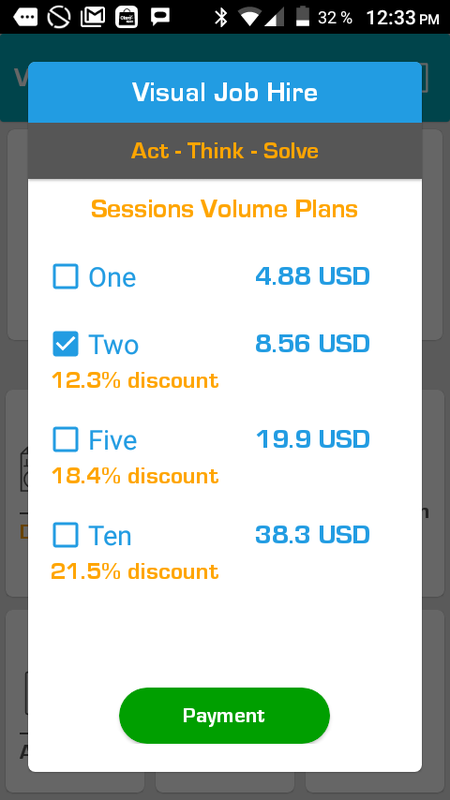 Each APP comes pre-charged with one full FREE Session, you can buy volume sessions at discount prices, charge by the APP store in Local Currency.